It seems most photography workshops these days basically end up being a bunch of people in a room watching a slideshow by a well known photographer. For those of us who learn best in a hands on environment, sitting in a classroom just doesn't cut it. We don't get fired up and inspired by watching a slideshow. We need to do. I am one of those learners, especially when it comes to photography. The Photo Rehab is for those of us who need something a little more hands on. We find inspiration doing the actual work, hands-on, on location, shooting real people and real landscapes in real time with other photographers. We believe in the value of community over competition. We want to unite photographers, lift each other up, promote inspiration and a sense of belonging through collaboration. Our real-photographer-teachers make their living doing what they teach and not just from traveling from conference to conference. Each year we choose a different part of the country to host the workshop, because there's more to life than the PNW. Last year we kicked it in the desert of Moab, Utah and this year were heading to the forests of Asheville, North Carolina. We believe in supporting and showing off local businesses. We love those business only the locals know about, maybe they don't have 100k followers on Instagram, but they're hip deep in the community. As you probably know by now, I'm a sucker for local coffee shops. I love when I get to show off smaller players in the local coffee scene. Last year, we sourced our coffee from Utah's own Millcreek Coffee Roasters. 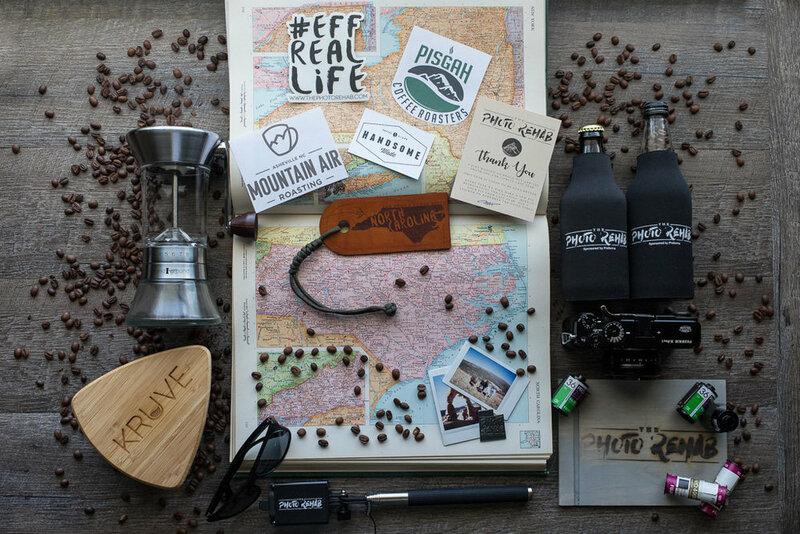 This year we'll be serving coffee from Pisgah Coffee Roasters and Mountain Air Roasting. Brewing good coffee at home isn't hard and I'd love to show you how. For those willing to brave the early morning, I'll be hosting an informal class each morning on how to brew better coffee at home. We'll chat about the local roasters who sponsored us, different brew methods, fun gadgets, and some coffee theory. We'll keep things casual and open, you can ask me any questions, we can keep it accessible or dive down the nerdy rabbit hole. On top of the two local roasters who are graciously sending us some of their coffee to serve, we also have a couple sponsors sending us some of their gadgets to show off and give away. 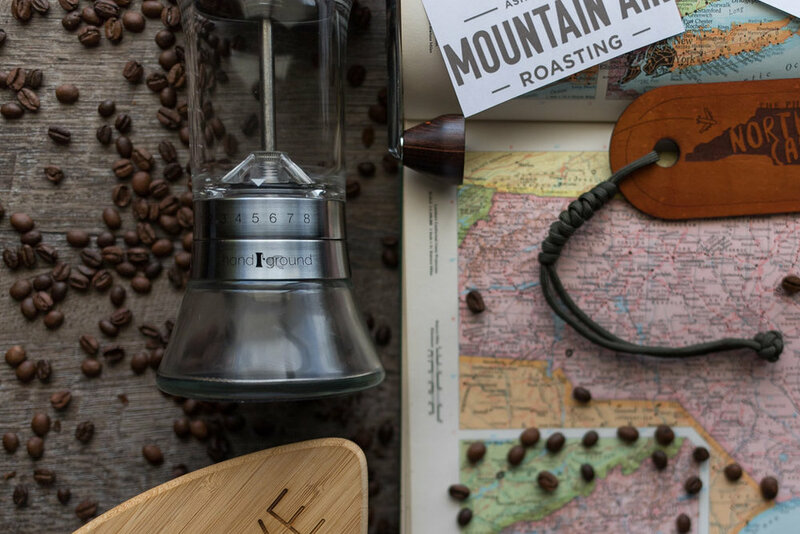 Handground's Precision Hand Grinder lends a new level of easy precision and beautiful presentation to hand grinding. They've sent one of their grinders for us to give away. Then we have Kruve Inc., who's sieve system brings precision to a whole new level, filtering out boulders and fines to the specific micron, finally providing a better way of communicating grind size. They've sent us one of their 6-sieve systems to give away as well! Those are just the coffee sponsors, we have even more on board with photography specific. In the months to come, I'll talk in detail about each of these sponsors and what it's like to mass brew coffee for 50 people every morning. I'm really excited about the Kruve and the Handground, both devices have been on my radar for quite a while now. I'll let you know what I think about them soon! Last year's Moab meeting helped me grow as a person, as a photographer, and let me have a taste of how to brew coffee for a bunch of people at once. If you're a photographer, and you happen to also want to up your coffee game, there's still time to sign up! Hit the link below for more info and registration! As always, thanks for reading, I hope to see you in North Carolina!